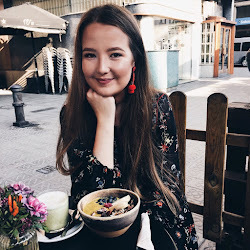 When I was browsing Feel Unique, about a month ago, I came across the Zoella Beauty range. I already own the body mist of both ranges, but out of curiosity I started looking and found some items I had never seen before, including Zoella All That Glimmers. I really wanted to find a bit more information about the product before deciding that it had to be mine, but there was no information to be found on the interwebs. So I thought: why won’t I write something about it? It’s a round box, completely in Zoella style. 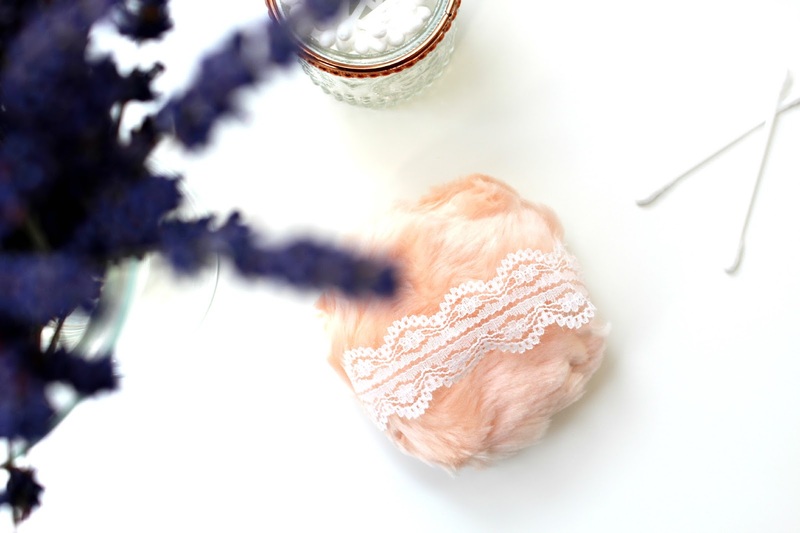 Whilst opening the box I found a cute puff with the sparkly powder inside of it. I was quite surprised, because I expected it to be like in the movies. Where you dab the puff in the powder and apply it. Maybe this is just me, but that would have been really, really cool. 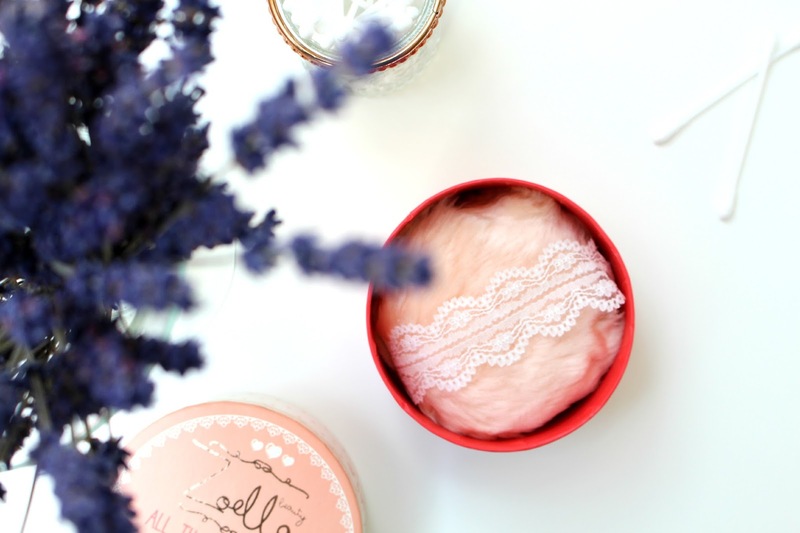 The powder is white, has teeny tiny sparkles inside and is scented with the original Zoella Beauty scent. I’ve taken a whiff at both Zoella ranges and I have to say the original scent is my favourite, so this is a big plus for me. It's been quite some time since I bought the shimmering powder and I can say that I don’t like it as much. Although the puff with the lace detail looks lovely I don't really use this product very often. Maybe now that the Christmas season is upon us I will be using a sparkly powder more often, but even then I would have no idea where to apply it. Maybe this is one of those products where it's just not something for me. I am a huge fan of the rest of the Zoella range, but this is just not my thing. 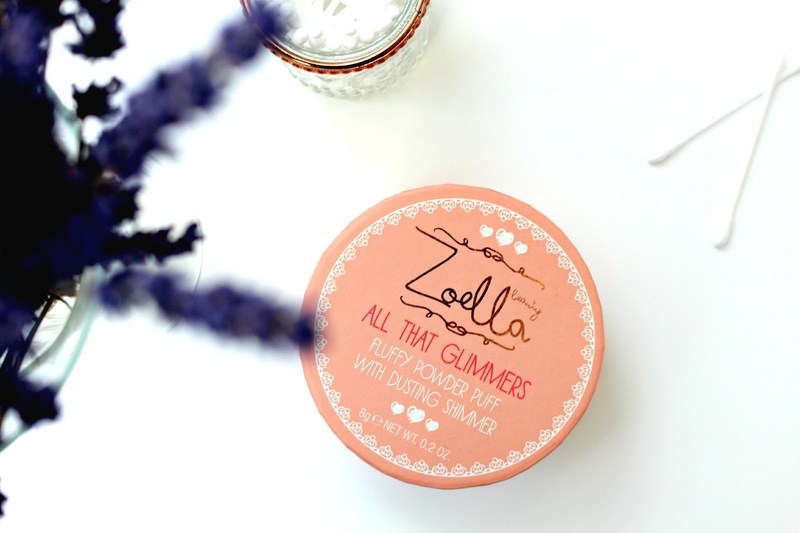 Have you tried the Zoella All That Glimmers before?